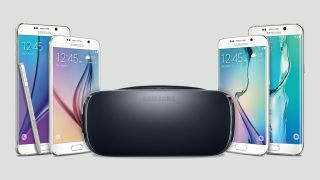 Oculus and Samsung are ready for you to experience virtual reality with the official launch of the Gear VR. Though there have been two other Gear VRs in the wild, the one releasing today is the final consumer headset rather than an "Innovator's Edition." Priced at $99 (about £99, AU$136), it's also far more affordable than the other versions. However, you will need a Samsung phone for the device to work - specifically the Galaxy Note 5, Galaxy S6 Edge+, Galaxy S6 or Galaxy S6 Edge. In the US, you can pick up the Gear VR now from Amazon, Best Buy and AT&T, with T-Mobile coming next week. Select Best Buy and AT&T stores have demo locations set-up. International preorders are now open. What can you do with a Gear VR? Our experiences with the Gear VR have only improved in time, especially over the two iterations. There are far more experiences out now than ever before. Netflix, games and VR experiences are only a few of the things you can do with the Gear VR. According to Oculus, "more than 25 brand new made-for-VR games and experiences are coming to Gear VR by early December, joining the more than 100 games and apps at launch." Starting today, you can now play EVE: Gunjack, experience Land's End and fight mutants with Mortal Blitz VR. VR's first aquatic safari park in Ocean Rift and Finding Monsters will follow in the coming weeks. With the Oculus Social Alpha app, you can also hang out with friends in a VR setting. During Oculus Connect, we were able to test it out by watching YouTube videos and Twitch gamers, while chatting away with other participants in a virtual theater. It was both creepy and fun but ultimately seems to solve the issue of experiencing VR alone versus with others. Along with the Oculus Store app which can be found upon loading up the device, Oculus Concepts is also available as a new way to discover upcoming content. Why has it taken the Oculus Rift so long to ship? This is why.